Hawaii Congresswoman Tulsi Gabbard has urged Congress to federally decriminalize marijuana Tuesday, introducing a bipartisan act to to remove the drug from the federal controlled substances list. 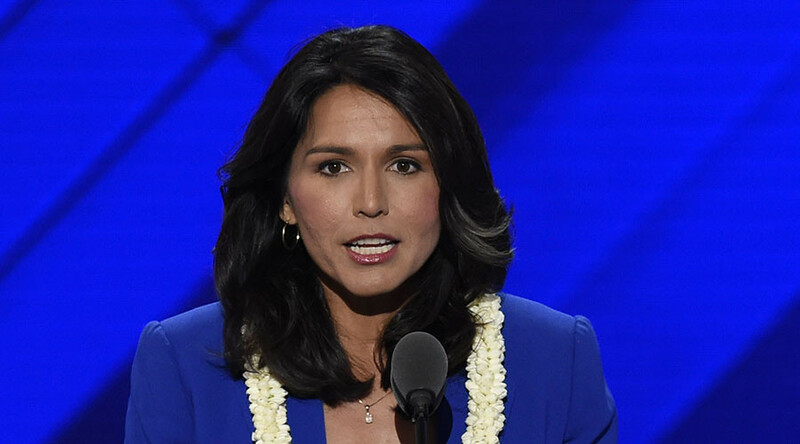 “FBI reports have shown that in 2011 alone, an individual in the United States was arrested for marijuana use, sale or possession every 42 seconds,” Gabbard said in a statement. The congresswoman introduced the Ending Federal Marijuana Prohibition Act (HR. 1227) with Republican Virginia Rep. Tom Garrett, calling on Congress to update its “outdated drug policies”. The FDA currently classifies marijuana as a Schedule 1 classification, along with MDMA and heroin. “Mostly in poor and minority communities our current laws are turning everyday Americans into criminals, sending them to jail, ruining their lives, tearing apart families and wasting huge amounts of taxpayer dollars to arrest, prosecute and incarcerate people for marijuana use,” Gabbard’s statement said. “The drug has been proven time and time again to be far less dangerous than alcohol, both for individual consumers as well as for the people around them,” she adds. Gabbard also highlighted the contradiction between federal law and those of individual states regarding marijuana, and how it has affected bankers and credit unions in Hawaii where marijuana is legalized but federal law prohibits them from dealing in financial transactions from marijuana. banks,” she said. “The businesses have to literally hold thousands or even millions of dollars and conduct their transactions in cash.